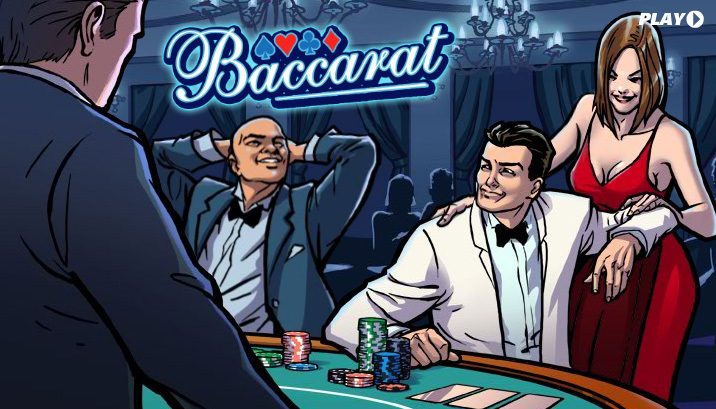 Baccarat is a straight forward game where the object is to get a hand that totals to nine – or as close to that as possible. Played with a single deck of cards there are potentially two betting opportunities per hand. The game starts with you being dealt two cards and a price being generated, you can then either choose to re-deal (which generates a new price), place a bet, or skip the bet. From there you either stick with your two card total (if they total 6, 7, 8 or 9) or hit a third (if your two cards total 5 or less). Played solely against the dealer, 100 points are awarded for a winning hand, 50 points for a tied hand and 0 should the dealer win. The aim of the game is to be the nearest to 9 with 2 or 3 cards. Aces count as one and ten whilst picture cards count as ten only. Two cards are dealt and a price is generated. You can then either choose to re-deal (which generates a new price), place a bet, or skip the bet (only available if no bets have been placed). If your two cards total 6, 7, 8 or 9 then you stand (take no more cards). If your two cards total 5 or less then you hit (take a third card). Ten is subtracted from any two card total greater than ten. If a third card is dealt a new price is generated and you can then either bet or skip to reveal the dealer's cards. Note that a two-card total of nine is called a "natural" and cannot lose. An eight is the second best hand and is also called a natural. Naturals will beat three card hands of similar value, but other hands of similar value will tie regardless of the number of cards. If the player has a total of 6, 7, 8 or a 9 then the player stands. There are no exceptions and this rule overrides all other rules. As an aid you can use the following table to determine if the Dealer hits or stands if the Player has drawn a third card.